Future Arbor Ltd provide bespoke arboricultural solutions for a wide range of design projects, to ensure long-term, healthy tree retention. 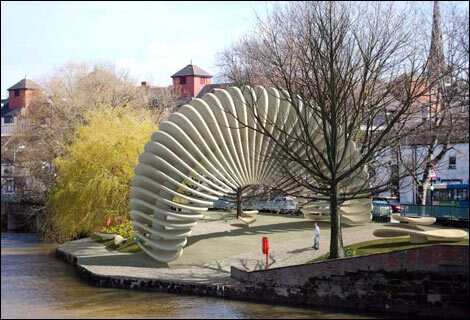 One such example is our recent involvement with the iconic “Quantum Leap” sculpture, in the heart of Shrewsbury, which was installed in celebration of the bicentenary of Charles Darwin. The early stages of design and planning identified existing mature trees on site as having a very high public amenity value, due to the prominance of the site next to a busy highway. Future Arbor were retained as arboricultural consultants, acting on behalf of Shrewsbury and Atcham Borough Council and Pearce and Lal architects. 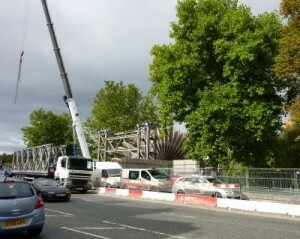 We were responsible for ensuring successful project completion with tree retention being afforded the highest priority. Ranbir Lal, Quantum Leap architect, Pearce and Lal Architectural Practice. This unique project required the application of cutting edge arboricultural design and engineering principles. The sculpture’s ribs alone weigh more than 113 tonnes, with foundations and piles adding a further 93 tonnes. Future Arbor created an industry-leading footpath design with permeable sub-base, binding and wearing courses. Fast water percolation was a design necessity, due to the project being located within a high flood-risk area. A smooth finish and minimal gradient were essential for disability access; the finish surface must be attractive to compliment the sculpture. Following the design process, Future Arbor managed the installation and successfully integrated this with adjacent landscaping. For more information regarding this iconic sculpture, the following link is provided to the BBC news report. We have a collective responsibility to counter the affects of climate change and we believe we are uniquely positioned to help. Future Arbor contribute directly to wildlife habitat improvement and tree planting and as such, we believe we are pioneers in the fields of environmental arboriculture and woodland management. Our first tree planting venture, pre-2000, resulted in our planting approximately 10 acres of native woodland next to the River Severn in Bridgnorth, Shropshire. We could claim to have started early with carbon off-setting, but the truth was born from a simple desire to contribute in some small way to local public amenity. 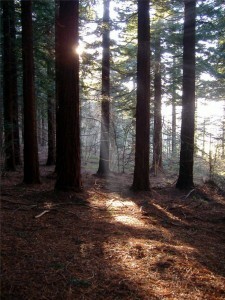 Future Arbor’s support for wildlife habitat improvement continued in 2004, with the Admaston Woodland Initiative, a project jointly run by the International Tree Foundation and Telford and Wrekin Council, to convert a derelict, brownfield site into a native, community woodland. This year, to celebrate ten years of dedicated support in arboricultural consultancy and planning, Future Arbor have purchased 100 acres of derelict land, specifically for the purpose of establishing a new community woodland. We will release more details as this project develops, but for the time being it is enough to say that the site will be planted with native trees, to create a community woodland which will remain in perpetuity. 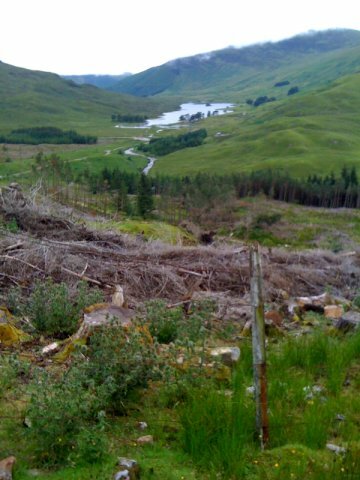 The land is in Scotland (where land prices are better suited to tree planting) and overlooks Loch Bra, a small loch where Macbeth is known to have resided. We hope to attract like-minded support for this tree planting initiative and simply want to do our bit and enhance the quality of life in Britiain for both people and wildlife. We hope to grow our tree planting projects at an exponential rate and following the successful establishment of our first 100 acre site, have set a target of planting 1,000 acres by 2020. 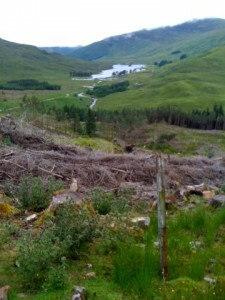 The photo to the right shows our 2010 site, looking over neighbouring land to the distant Loch.